BEL Signs produce temporary traffic signs for Local Authority Contractors and Civil Engineering companies on a regular basis. Whether made from Correx or Aluminium composite (ACM), we provide the complete service from artwork through to production, often within short and limited timescales. 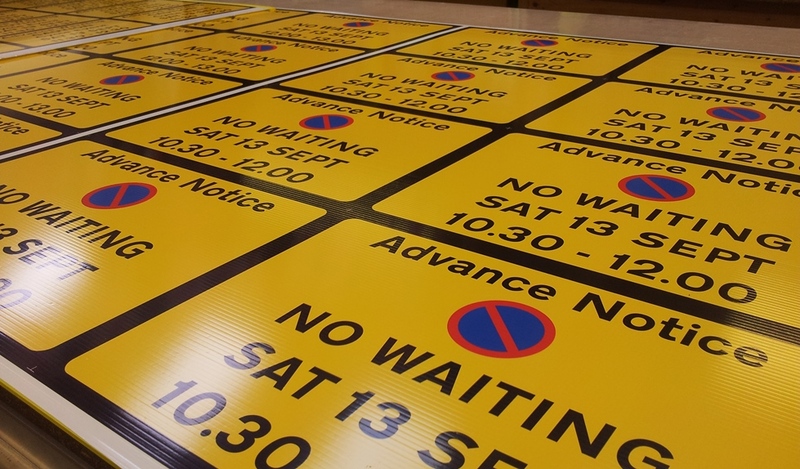 We supply Temporary Traffic Signs for many different uses including traffic access notifications, advance warnings, car park instructions and diversion instruction. In fact …anywhere that motorists and pedestrians need to instructed or warned of work that is imminent or due to take place taking place. We can also offer advice on standard Highway Agency’s traffic symbol usage and how best to employ them on your signs.